. 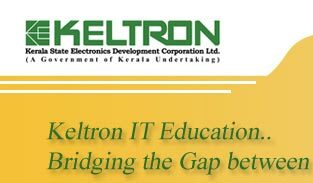 :: Keltron IT Education ::. There exists a projected huge person gap in the labor needs for qualified professionals in the networking industry by 2011. Many of these opportunities will be in emerging in specialised networking fields like WAN, security, voice and wireless. Focusing on the growing need for knowledgeable computer network professionals KELTRON IT Education Centre has been conducting training for various international, vendor/vendor-neutral/free software certifications to help the trainees to attend for vendor certification examinations and help to develop a networking career. These training programs synergises well between Network Solutions and IT Training. Training will develop the ability to describe the features and functions of networking components and to manage, maintain, troubleshoot, install, operate and configure basic network infrastructure. We have highly qualified and certified Networking Engineers as trainers, who have the complete understanding of the Networking industry, its prospects and are efficient enough to see to it that the trainees will be equipped with the latest knowledge in networking industry. +2 / Basic Computer Knowledge.